Singapore has long been known for low levels of corruption. In 2017, Singapore was ranked the 6th least corrupted country in the world based on the Corruption Perceptions Index 2017, a research done by Transparency International. However, this does not mean that Singapore is free from corrupt practices, with the recent Keppel Offshore and Marine (“O&M”) bribery incident, the biggest corruption case in Singapore to-date, being the case in point. In light of such high-profile corruption cases, it is time for Singapore companies with overseas operations to review their anti-corruption policies and their enforcement of these policies, and for the Singapore Government to review and update the Prevention of Corruption Act (“PCA”). (A) What happened in the O&M case? O&M made an estimated total of US$55 million in corrupt payments to Brazilian officials in Brazilian state-owned oil company, Petrobas, and Workers’ Party in order to secure 13 contracts in Brazil from 2001 to 2014. These bribes were disguised as huge amounts of commission paid to a Brazilian agent in consultation contracts. The agent would then pass the bribes on to officials and politicians in Brazil to help O&M gain favour with Petrobas and Sete Brasil, a Brazilian rig builder. In December 2017, O&M agreed to pay US$422 million in a Deferred Prosecution Agreement (“DPA”) made with the United States Department of Justice and received a conditional warning from the Corrupt Practices Investigation Bureau (“CPIB”) and the Attorney-General’s Chambers in Singapore in lieu of being prosecuted for corruption offences. The Bill received great support from the members of the Parliament and the PCA was eventually enacted on 17 June 1960. The PCA was subsequently amended a number of times, with the latest amendment taking place in 2012. In fact, it was admitted by Minister in Prime Minister’s Office Chan Chun Sing that the last substantial amendment made to the PCA was in 1989. As such, the PCA has not been amended substantially for close to 30 years. The CPIB was initially set up in September 1952 by the British colonial government in Singapore with the aim to detect, investigate and eradicate corruption in Singapore, particularly among law enforcement officers. However, due to the limited powers given to the agency, for example the lack of capability to conduct thorough investigations and the absence of a reliable anti-corruption legislative framework, CPIB was unable to carry out its functions effectively. Things changed when the PCA was enacted in 1960. The PCA finally provided a reliable and effective anti-corruption framework that the agency could rely upon. It also vested more power in CPIB to carry out anti-corruptions activities, for example, all offences under the PCA are now deemed to be seizable offences, allowing the CPIB to arrest persons suspected of corruption without warrant, and the CPIB now has the ability to access suspects’ financial accounts and enter into their premises to search for evidence. These powers given to CPIB allow them to carry out investigations more effectively. Corruption is now transnational in nature (as seen in the O&M incident) and it is not sufficient to keep the fight against corruption within the country. Singapore has made its engagement against corruption international by ratifying the United Nations Convention against Corruption and becoming a member of the Financial Action Task Force. In addition, CPIB has represented Singapore in various international initiatives such as the Asian Development Bank – Organisation for Economic Co-operation and Development (ADB/OECD) Anti-Corruption Initiative for Asia and the Pacific, the Asia-Pacific Economic Cooperation (APEC) Anti-Corruption and Transparency Experts’ Working Group (ACTWG), the Economic Crime Agencies Network (ECAN), the G20 Anti-Corruption Working Group (ACWG), International Association of Anti-Corruption authorities (IAACA) and the South East Asia – Parties Against Corruption (SEA-PAC) meetings between parties of a regional Memorandum of Understanding (MOU). The relevant laws that deal with corruption in Singapore are the PCA, Penal Code (Sections 161 to 165) and the Corruption, Drug Trafficking & Other Serious Crimes (Confiscation of Benefits) Act (“CDSA”). In the following parts, a brief overview of the relevant sections of acts will be given to provide a quick understanding of the laws in Singapore. The PCA prohibits the soliciting, receiving, or agreeing to receive for oneself or for the benefit of others, or giving, promising or offering to another person a gratification with corrupt intent in either the public or private sector. Any person, be it the giver, the receiver, or the agent, will be punished under the PCA if he/she is found guilty of committing such prohibited acts. Additionally, a person who abets the commission of the prohibited acts in or outside of Singapore will be taken to have committed the acts himself and shall also be liable for punishment if convicted. In summary, the giver, receiver, agent and abettor of the prohibited acts can all be liable for punishment under the PCA if they commit the offence and are convicted for it under the PCA. any offer, undertaking or promise of any such gratification. Given the broad definition provided statutorily, there are potentially many things that can be considered gratification if they are given or received corruptly, including sexual gratification and receiving free illegal lottery bets. Under sections 5 and 6 of the PCA, a person convicted of giving or accepting gratification shall be liable upon conviction to a fine of up to $100,000 or imprisonment for a term of up to 5 years or both. Where an accused is convicted of accepting gratification and if the gratification is a sum of money of it the value of the gratification is assessable, the Court shall also order him to pay a penalty equivalent to the sum of the gratification, on top of the punishment(s) imposed under section 5 or 6. It is important to note that this penalty is only applicable to receivers of gratification and does not apply to offenders who gave gratification. Even if the prohibited acts are committed outside of Singapore, section 37 provides that Singapore citizens will be dealt with in respect of that offence as if it had been committed within Singapore. It is important to note that this extra-territorial jurisdiction of the PCA is only exercisable against Singapore citizens, and not against Singapore permanent residents or foreigners. Public servant obtaining any valuable thing, without consideration, from person concerned in any proceeding or business transacted by such public servant. In addition to the PCA and the Penal Code, the CDSA provides further actions to be taken against corrupt offenders. Briefly, the act allows the Courts to confiscate corrupt benefits from convicted corrupt offenders. (D) What can the Singapore Government do to prevent future corruption? The PCA has not been reviewed and amended substantially since it came into force 15 years ago, on 30 January 2003. Indranee Rajah, Senior Minister of State for Law and Finance, acknowledged that the penalty under the PCA would have been far less than what O&M was liable for under the DPA. As the law currently stands, O&M would have been liable to a fine of up to only SG$100,000 per charge under section 5 of the PCA. In today’s context, bribes can amount to millions of dollars and the current penalty is simply insufficient to deter such offences. On 23 January 2018, it was reported that CPIB has started reviewing the PCA but it was also stated that the current review was “not connected to the Keppel case”. No further information was provided with regard to the review of the PCA. In its review of the PCA, there are three main considerations that the Singapore Government should be taking note of in order to ensure that the penalties will be adequate in today’s context to in order to deter corrupt practices. The first is the quantum of the penalties under the PCA. Under the UK’s Bribery Act 2010, a person convicted on indictment is liable to unlimited fine (see section 11 of the Bribery Act 2010). In the US, a company is liable to a fine up to US$2 million if it is found guilty of corruption under the Foreign Corrupt Practices Act. Clearly, Singapore’s current penalty of SG$100,000 per violation is obsolete and there is an urgent need for the PCA to be reviewed and updated. The second is the widening of the scope of the law to hold the higher management and boards of directors more accountable for corrupt practices through the implementation of provisions to hold them criminally liable if it can be shown that they have failed to do enough to prevent corruption. The inclusion of such criminal liabilities will force boards and senior management to put in greater effort to ensure their employees do not engage in corrupt practices. In the O&M scandal, O&M said that its boards of directors were not aware of and did not approve the illegal payments that were paid out over the 13 years. For such a huge sum of corrupt payments (US$55 million) to go unnoticed by the boards of directors, it is a clear indication that the boards have failed to exercise proper and effective management and control over the operations of the company and their employees. Currently, boards of directors and higher management cannot be held criminally liable under the PCA unless they were the ones directly involved in the corrupt practices. In the UK, a company could be liable to unlimited fine for its failure to prevent bribery under section 7 read with section 11(3) of the Bribery Act 2010. In 2016, a company was sentenced pursuant to section 7 of the Bribery Act 2010 for the first time. Sweett Group PLC was fined £1.4 million for its failure to prevent bribery intended to secure and retain a contract with an insurance company, Al Ain Ahlia Insurance Company (AAAI). 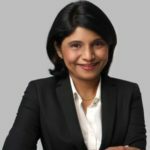 The Singapore Government can look to UK’s Bribery Act 2010 and consider the implementation of criminal liabilities of higher management should they fail to take sufficient action to prevent the carrying out of corrupt acts in their companies. The third consideration is to provide greater protection for whistleblowers. In Singapore, protection for whistleblowers is very limited. As of now, whistleblowers in Singapore are protected under section 36 of the PCA, which prevents the disclosure of infromants’ names and addresses and admission of complaints in court as evidence, as an attempt to protect the identities of whistleblowers. This is unlike the UK and the US, where statutory laws have been enacted to afford more robust protection to whistleblowers. There, whistleblowers have the right not to be unfairly dismissed from their jobs and the right not to be treated unfairly at work for whistleblowing. In Singapore, whistleblowers do not have the same rights, resulting in many becoming unwilling to risk losing their jobs to whistleblow. If amendments are made to PCA to provide greater protection and rights to whistleblowers, it is likely that more people will be willing to step forward to report corrupt practices in their companies. Currently, under section 37 of the PCA, only Singapore citizens can be held liable for offences committed outside of Singapore. In the review of the PCA, it is suggested that the Parliament should consider extending this liability to include permanent residents as well. Given that permanent residency is second only to Singapore citizenship and permanent residents have most of the rights, privileges, obligations, responsibilities and duties that a Singapore citizen has, it is only fair that they should be held liable for offences committed outside of Singapore under the PCA. Section 13 of the PCA provides that a receiver of any gratification will be liable to pay a penalty of the sum equivalent to the amount of the gratification he received. The provision is silent on the liability of the giver of the gratification. As such, such persons will not be liable for penalties under section 13. For the sake of fairness and consistency of the PCA, it is recommended that the provision be amended to include all people involved in the gratification, including both the receiver and the giver of the gratification. This is because both the giver and receiver are criminally liable for corruption under section 5. Given the equal liability of both parties under section 5, I t will be inconsistent and unfair to the receiver if only the receiver, and not the giver, will be held liable under section 13. The O&M corruption scandal shows that Singapore corporations, especially those with overseas operations, are no longer safe from corrupt practices. There is an urgent need for corporations to build a strong corporate culture against corruption. Corporations can take the steps listed below in order to safeguard themselves from such dishonest practices and risks in the future. Corporations should take note that the following steps should not only apply to employees, but also third parties engaged by the corporations to carry work for them. Different countries and different sectors have different levels of corruption risk. It is thus important for corporations to conduct risk assessments and ensure that the policies such as Code of Business Conduct are adapted to the relevant sectors and the relevant countries based on these assessments. Corporations without any anti-corruptions policies should come up with such policies while corporations with existing anti-corruption policies should review and update their policies to ensure that they are relevant in today’s business environment. These policies need to be very clear in guiding the employees on what behaviours are acceptable and what are not. They must also apply to all level of employees to ensure maximum efficiency. Disciplinary procedures also need to be put in place so that employees can be dealt with appropriately should they break any laws or any of the policies. Without any disciplinary procedures, these policies will be rendered useless as employees will be able to get away with any misconduct. Once these policies are in place, corporations need review and update them periodically to make sure that they remain applicable and effective in fighting corrupt practices in the ever-changing business environment. It is not enough to have anti-corruption policies in place. They need to be implemented through the training of overseas management and employees. After the initial training is done, corporations need to have a follow-up system to ensure that the overseas management team and employees and adhering to the anti-corruption practice. In addition, regular refresher trainings need be provided to ensure that the employees are always kept up-to-date on the corporations’ latest anti-corruption policies and laws. Once the employees are trained, it is important for the CEO, senior management and middle management of the corporations to regularly communicate with the employees on the importance of following all local and international laws, and corporations’ policies when conducting business and not do anything illegal. This is to enforce the importance of anti-corruption practices within the corporations so that a strong corporate culture can be fostered. In the event there are allegations of employees breaking the law or the rules in the policies, thorough investigations need to take place immediately to look into the alleged wrongdoings and remedial actions need to be taken swiftly to correct these wrongdoings. In addition, as mentioned under the first point of this section, employees who are guilty of breaking the laws and/or the rules of the policies must face disciplinary action from the corporations. On the other hand, employees who have obediently complied with the laws and policies should be rewarded to encourage such good behaviour. Due to the limited protection currently afforded by PCA and the uncertainty of whether the Government intends to amend the PCA to provide greater whistleblower protection, it is important for corporations to take the first step and implement comprehensive whistleblowing policies to encourage employees to whistleblow. In its effort towards zero tolerance towards corruption, CPIB has also designed a practical guide for businesses in Singapore to help them combat corruptive practice. This guide not only provides useful information on corruption, but also sets out the guidelines for business owners in developing and implementing anti-corruption systems within their companies. It is also drafted in a way that is simple and easy to understand for all readers. As such, the guide is an excellent resource for corporations that are developing anti-corruption policies to be implemented. It can be found on CPIB’s website here. The O&M incident shows that even Singapore, a country ranked 7th on the Transparency International’s Corruption Perceptions Index, is not safe from corrupt practices. This is especially true for Singapore corporations with overseas operations in countries with higher risks of corruption. Both the Government and corporations themselves have to start taking action to prevent corrupt practices. Public Prosecutor v Ng Boon Gay  SGDC 132 and Public Prosecutor v Peter Benedict Lim Sin Lang  SGDC 192.